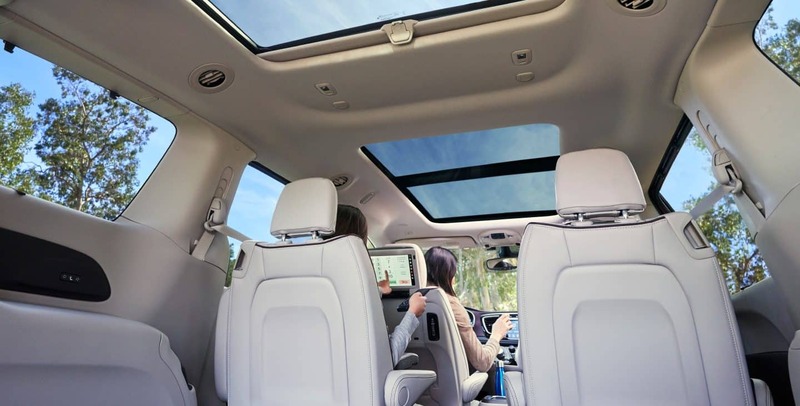 Voted the overall Best Family Car and Best Green Car by TAWA, the 2019 Chrysler Pacifica continues to garner attention and appreciation by families and critics alike! It provides easy, convenient, and comfortable hauling of both people and cargo with supremely affordable efficiency and power. 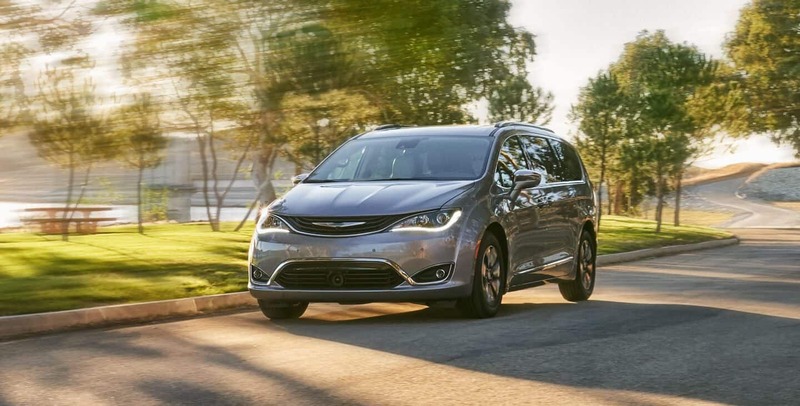 Also proven to be a safe by the IIHS, the Pacifica was named a Top Safety Pick as well as being awarded a five-star crash test rating by the NHTSA. Protect what's important to you and drive in luxury with the 2019 Chrysler Pacifica. 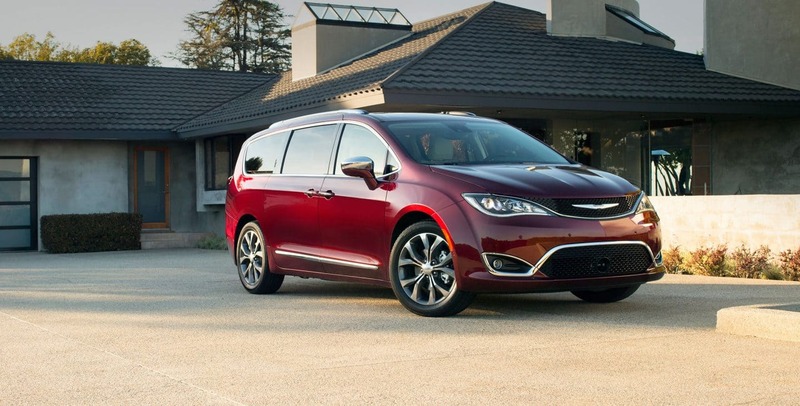 What powertrain comes with the Pacifica? Equipped with an award-winning engine that's renowned for its power, reliability, and efficiency, every 2019 Pacifica has the handling and performance to suit your family or business needs! 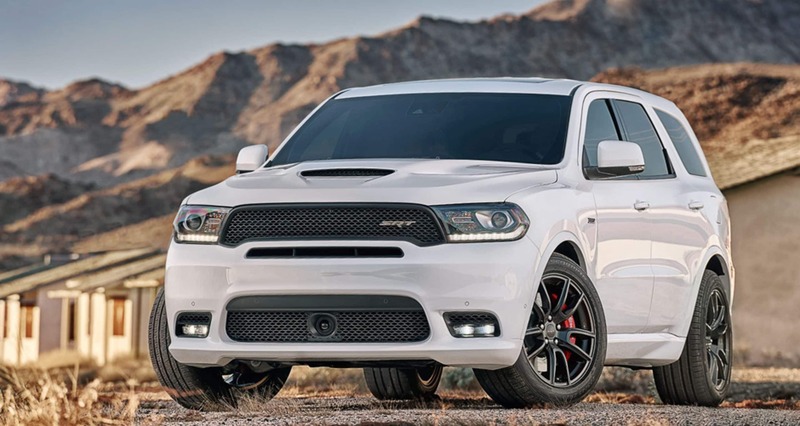 Each is equipped with a Pentastar 3.6-liter six-cylinder engine paired to a nine-speed automatic transmission. This duo uses the output of 287 horsepower and 262 lb-ft of torque through the Pacifica's standard front-wheel drive for great pick up and acceleration, rated to tow up to 3,600 pounds. It's standard 28 highway mpg can be enhanced via the Pacifica's Hybrid models--the only hybrids of the class! These systems are additionally equipped with a 16 kWh battery and dual motors for 84 MPGe. 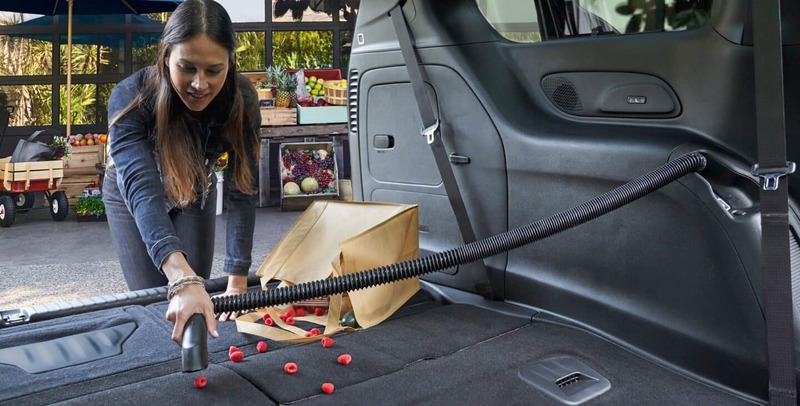 If you're really looking to save on gas for your around-town tasks, these hybrid systems can give you up to 33 electric-only miles. What interior features enhance comfort and convenience? 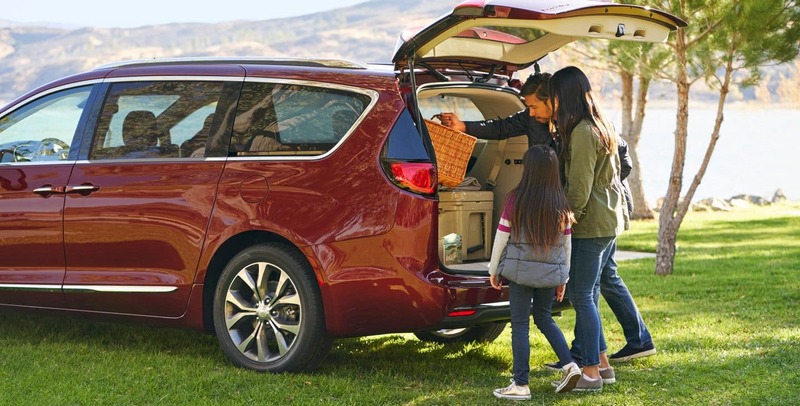 Great power and efficiency are key points to consider while shopping, and so is the luxury comfort you'll find within the 2019 Pacifica! Though it seats a maximum of eight people, no one is going to feel cramped thanks to an average 39 inches of headroom and legroom across the three rows. The Pacifica offers 165 cu.ft of passenger volume, plus a great, functional trunk space of 35 cu.ft! You can enhance your cargo hauling thanks to Chrysler's Stow 'n Go seat engineering. Second and third rows can store right down into the floor for a completely flat storage space, easily giving you up to 141 cu.ft for any large items or gear. Thanks to this convenient technology, there's up to 243 seating and cargo arrangements you can set your Pacifica to. Convenient on-the-road storage needs are a must with a busy family. Entertainment has to be well in reach for kids during long trips, and for that, the Pacifica's seat storage also doubles as in-floor storage bins to keep the goods nearby but out of the way. There's plenty to enhance the drive right at your fingertips, as well! 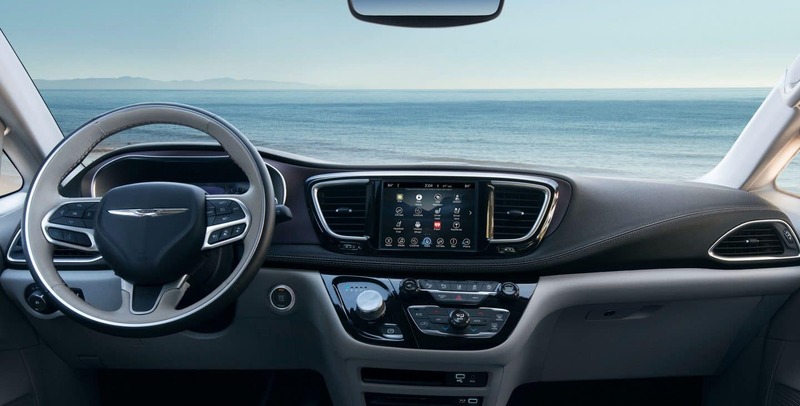 You'll find a Uconnect 4 system equipped into every Pacifica, giving you convenient car stat and safety apps via the 7- or 8.4-inch touchscreens. Through these interfaces you can also access HD radio, Bluetooth phone syncing, wireless Apple CarPlay or Google Android Auto apps, SiriusXM, and available navigation. Everyone can have their own personalized comfort thanks to the dual-zone automatic climate control, upgraded to three-zone control in all but the base trim. How well does its safety features perform? A vessel of safety, the Chrysler Pacifica has a proven record of providing some of the best crash test ratings in the class by both IIHS and the NHTSA. Its high-strength steel frame and airbags performed admirably across the board. The best defense of an accident is always prevention, though, and for that, the Pacifica offers you standard rear sensing cross-traffic monitoring and blind-spot alerts to keep you aware of your surroundings. There's also a standard ParkView rear camera with front and rear parking proximity sonar alerts. In higher models, this enhanced maneuverability technology is improved with the available 360-degree Surround View Camera that uses 4 cameras around the exterior of the vehicle. 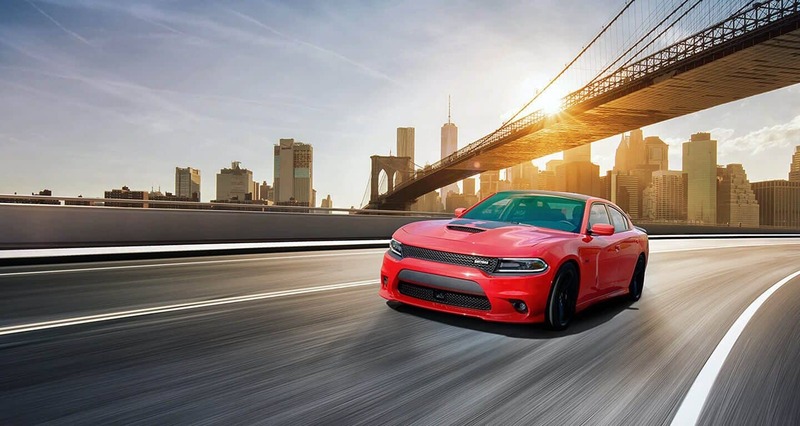 These models also provide you with more driver assist features such as Autonomous Self Parking, Forward Collision Mitigation, Adaptive Cruise Control, automatic highbeams and windshield wipers, and LaneKeep Assist. 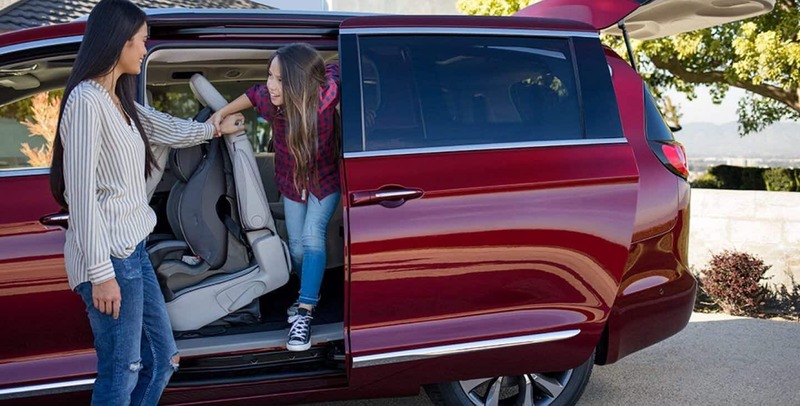 Comfortable, flexible, efficient, and safe, the 2019 Chrysler Pacifica supplies you all that you could ask for of a minivan and more! 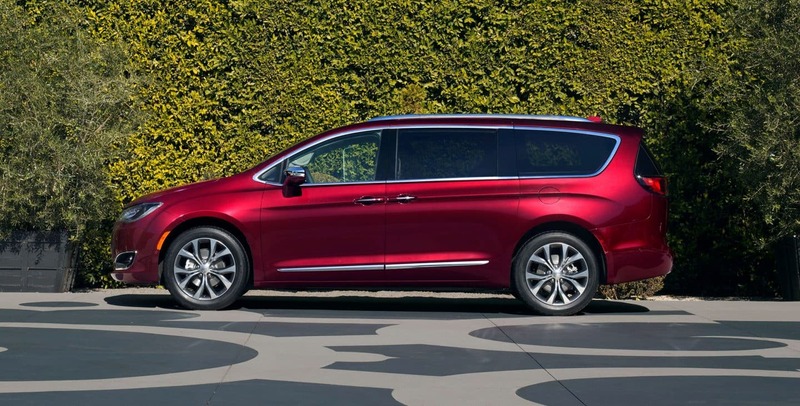 Leading the market in family-friendly innovations at an affordable cost, Chrysler seeks to raise the bar on what a minivan today can accomplish--dare we say they've accomplished their goal. Take your whole family to come experience the modern comfort and technology found in our inventory of 2019 Pacificas. We have every trim available for you to test out so you can find the exact Pacifica that's right for your family.